Many landslides have been caused by large-scale earthquakes in volcanic mountain areas. The Iwate-Miyagi Nairiku Earthquake (IMN Earthquake) of 2008 is one such example. 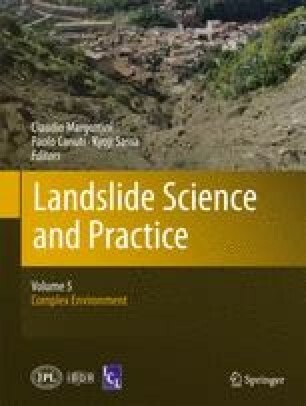 To constrain the effect of volcanic deposits on large earthquake-induced accelerations that trigger landslides, an earthquake response analysis that considered a range of geological conditions was carried out. The results show that the thickness and position of soft rock, such as a layer of weakly welded tuff, affected the intensity and amplification of seismic acceleration on the slope. Field investigations were carried out with the cooperation of the Forest Agency of Japan and Forestry and Forest Products Research Institute. Seismic observation data were obtained from KiK-net of the National Research Institute for Earth Science and Disaster Prevention (NIED).